Find the best Louisiana flag football adult leagues, pickup games and tournaments in the state. 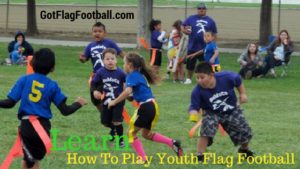 Below you’ll find the top up-to-date for 2019 list of fall, winter, spring and summer, indoor and outdoor local flag football leagues, pickup games and organizations that offer tournaments, organized from the highest to least populated cities and towns in LA. GotFlagFootball.com brings together the recreational and competitive local Louisiana flag football community of organized leagues, city recreational leagues and pickups in one list (in alphabetical order), so that it’s easy to find a game near you. Games here are played on Saturday’s, between 9am and 2pm. AFFL runs games from February through to April, before a Playoff Series is played in May. PLAYNOLA offers both a men’s league and a co-ed league. These leagues have at least 6 and 5 regular season games respectively, plus at least 1 playoff or consolation game. Teams must have at least 8 players, including 4 women and 4 men in the co-ed league. This is an 8v8 league which runs in the Fall, for adults aged 17 years and over. Games are played on Sunday, and begin at 1pm. There is a playoff series at the end of the year for the top teams in the league. City of Bossier offers an adult flag football season which runs on Tuesday and Thursday night, with games starting at 6:30pm, 7:30pm, and 8:30pm. Games run from mid September until late October, after which there is a league elimination playoff tournament for the top 8 teams in the league. The top 2 teams in the league then play in a City Playoff Tournament. This is a 6v6 league, and is available for both men and women. There are three different leagues for varying skill levels, from highly competitive, to completely unskilled. Games are played at a highly renowned indoor recreation facility.